SpeedyAudit Free/Pro/LTC: Capture hand hygiene actions, precautions and personal protective equipment all with the touch of a button. When you are done auditing, use our mobile reporting feature to view compliance rates for the past 7 and 30 days, all available right at the moment you finish an audit! SpeedyAudit Pro/LTC: Use our web portal to aggregate data from your many different auditors, facility sites and units. Dive deep into: time of day audits were taken, number of audits reported per auditor, per facility and per unit. 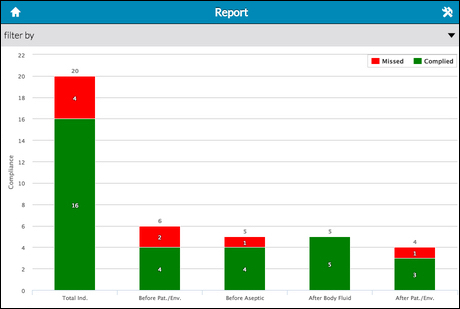 When you finished analyzing data, create all the reports that you need to help improve hand hygiene compliance in your facility! The tool comes with a number of different report views, allowing you to choose the best way to present your data to your staff. 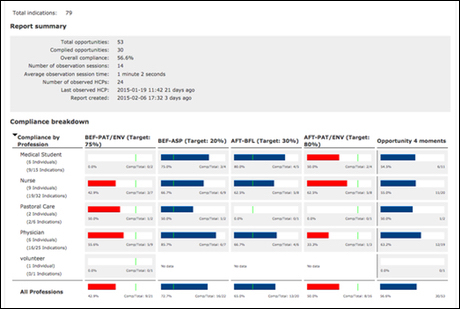 Download all of your reports in pdfs and/or png files. SpeedyAudit Pro/LTC: Automate reporting! Use our beta recurring reports feature to set up a variety of different reports that auto-generate at specified time intervals, easing your workload. This feature allows you to completely automate your reporting by auto-generating a new report on a daily, weekly, monthly or quarterly basis. SpeedyAudit Pro users also have the benefit of our beta automatic emailing feature, you will be able to auto-generate recurring reports that are then auto-emailed to specified individuals. 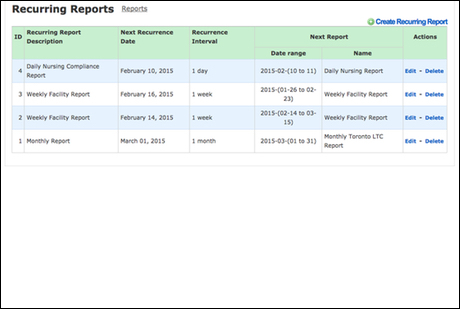 For example, if you would like your senior staff to receive a weekly hand hygiene report in their inbox, SpeedyAudit Pro can automatically create and send the reports for you!